In order to be allergy tested you must first have an “Ear, Nose & Throat” examination and allergy screening performed by your Provider to ensure that it is safe to proceed. This can be accomplished through a routine office visit and does not require you to obtain a “Specialist Referral” from your Insurance Provider. Your Provider may require you to stop taking certain prescription and over the counter mediations for a certain period of time prior to being allergy tested. We offer comprehensive allergy diagnostic services to include both Environmental and Food allergy testing in order to accurately identify your complete allergy symptomatology. We only test for the most predominant allergens in order to minimize the financial and physical impact on our patients. The allergy test can be performed on either your back or arms and your appointment will take about an hour. For many patients the cost of your allergy test will be covered by an “Office Visit Co-Pay”. Allergies occur when your body is exposed and reacts to what are typically harmless substances such as mold spores, animal hair and dander, insects, plant pollen and food. When you come into contact with one or more of these substances by either direct touch, inhalation or ingestion, the substances are absorbed into your tissue and blood where they illicit an immune system response. Your body’s reaction to these foreign substances is to produce an antibody called Immunoglobulin E (IgE) which is similar to when you are sick and your immune system releases white blood cells to fight a virus or bacteria. The result of your body’s immune system rallying to defend itself and attack these foreign substances is for histamine; an inflammatory to be released. Histamine causes side effects that we realize as allergy symptoms such as skin irritation, itchy and watery eyes, runny nose and shortness of breath. The allergy symptoms that develop can range from limiting and uncomfortable to life threatening to include anaphylactic shock. 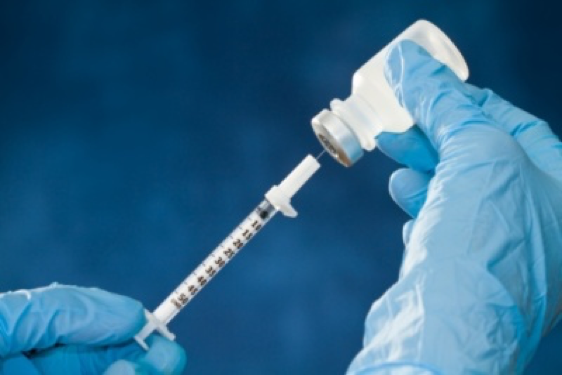 Most commonly referred to as “allergy shots”, subcutaneous immunotherapy has been part of mainstream medicine for nearly a century. It has proven to be effective at reducing environmental allergy sensitivity for many years after the treatment has been completed. Your safety and care is our greatest concern, and we will closely monitor your treatment and progress while minimizing the number of office visits you will be required to make. In a time when health insurance premiums are rising and many affordable plans require you to pay higher deductibles, sublingual immunotherapy can offer you a safe and cost-effective alternative solution to your allergy suffering. This “self-pay” option can also provide you with a viable means to treat your allergies if you are not comfortable taking allergy injections. Feel free to ask our office for more information regarding this option. when the most predominant aero-allergens in Texas are at their peak. What do I need to know before getting allergy testing? Prior to being allergy tested you will have to be examined by your Provider and they may require you to temporarily stop taking certain prescription and over the counter medications for a period of time prior to the test date. Percutaneous Allergy Testing is sometimes referred to as “Scratch” or “Skin-Prick” and can cause slight discomfort for some patients but it is not painful, it does not use needles or draw blood. Allergy testing appointments typically last about an hour, it takes about 15 - 20 minutes for the test to be performed and for the results to be recorded. What allergy tests are available? Environmental Allergy Tests include testing for the most predominant aero-allergens in the region to include mold spores, animal hair & dander, insects and plant pollens. Environmental allergies can be treated therapeutically with either allergy shots or sublingual drops. Food Allergy Tests include testing for the most commonly ingested foods that are proven to cause allergies such as nuts, fruits & vegetables, wheat & dairy, meat & poultry and seafood & shellfish. Currently there is not a safe medical treatment for food allergies and “Avoidance Therapy” is recommended. What are allergy shots and are they safe? Allergy shots are the therapeutic means of treating your allergy symptoms in order to decrease your sensitivity to certain allergens. Allergy Immunotherapy has been proven to reduce patients symptomatology and sensitivity to allergies by greater than 85%. With all medical treatments there is risk of side effects and your Provider can discuss this with you in detail. Percutaneous Allergy Testing and Subcutaneous Immunotherapy are covered by almost all Insurance Providers but cost may vary based upon your specific policy’s coverage. We will verify your coverage and out of pocket expense for both the allergy testing and therapy prior to your appointment. Sublingual Immunotherapy is a alternative therapeutic option for “self-pay” patients or those with high deductibles.